Stakeholders in the Agricultural Sector have commended Union Bank Plc for investing heavily in rural agriculture and being in the forefront of implementing most of the Federal Government policies on Agriculture to ensure food security in the country. The lender received these praises in Abuja at the two-day Nigerian Finance conference with the theme “Catalysing the Diversification of the Nigerian Economy through Effective Agricultural Finance”. The event was organized by African Rural and Agricultural Credit Association (AFRACA). The representative of the Central Bank Governor who is also the Deputy Governor Corporate Services, Adebayo Adelabu said that investment in Agriculture generates four times poverty reduction variables than any other sector, adding that commercial banks have in the past shied away from investing heavily in Agriculture because of the unpredictable nature of the Sector as draught and even excessive rains could turn the tide and put the banks at risk from scooping their investments in record time. 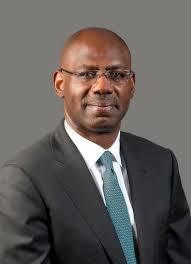 Managing Director, Union Bank Plc. EmekaEnuwa reiterated the need for more funding of the Agric sector especially under the platform provided by AFRACA saying that most of the African countries are facing the same dwindling fortune like Nigeria. Previous Actress ,Mide Martin’s 13 yrs Marriage Crumbling..Hubby Moves Out!